The Cisco Certified Network Associate (CCNA) certification is one of the top IT credentials IT administrators should have under their belt. The CCNA1 was designed to put the network administration knowledge of candidates to the test and stands as a testament to their ability to configure and troubleshoot switched and routed networks. In many ways, the CCNA is a rite of passage in the IT community. In other words, if you want to reach the peak of your administrative career, you need to pass the CCNA. However, Cisco’s credibility stands on the back of the course’s rigorous standards. You need to know routing and switching inside and out if you are to have any hope of passing. 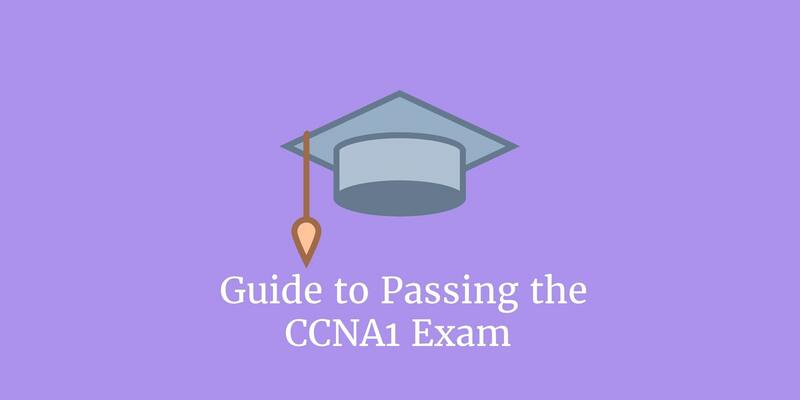 In this CCNA1 exam guide and CCNA2 study assistant, we take you through how to pass the CCNA and provide you with some resources that will help you throughout your study. We’re not going to discuss those topics but we are going to point you in the direction of some excellent resources. However, before we get to that, let’s take a look at the exam itself. One of the most important things to remember about the CCNA exam is that everything doesn’t need to be completed in one go. Broadly speaking, there are two courses that make up the CCNA; CCNA1 and CCNA2 and they don’t need to be taken at once. As such, we recommend that you do both separately in order to get the most out of your study. This way you’ll have more time to prepare for each exam before you take the test. There is no barrier to entry for the CCNA1, and everyone can take it so long as they show up. If you pass the CCNA exam in its entirety then your CCNA certification is valid for 3 years. If you’d like to renew your certification then you will need to resit the exam. So if you’re planning to maintain your Cisco certification for a long period of time then its a good idea to learn as much as you can the first time around. Each CCNA test has 50-60 questions for you to answer and you are allowed 90 minutes. Again it makes more sense to do these separately to sit shorter exams than to spend 180 minutes on both. Now we’re going to look at how to study for the exam. At this stage, the most important thing to recognise is that this isn’t an exam you can wing. You need to put in a consistent effort in order to retain the information needed to pass. How Do I Study for the CCNA1 Exam? A large part of your success in the exam is going to rely not just on the resources you use, but how you use them. The greatest book in the world isn’t going to get you anywhere if you don’t commit to studying hard. The first thing you need is a CCNA study guide. Now there are many official and unofficial study guides available, but before we get to the study guides available there are a number of important things to discuss. The first is that it could very easily take 4 months at 10 hours a week of studying for you to reach the point where you’re ready to sit an exam. At the same time you could do it in a fraction of the time if you spend several hours preparing everyday. As mentioned above no book is going to get you ready if you don’t study enough. Secondly, no single book is going to be enough to cover everything. To pass your exam you need to be accessing books, videos, practice tests and practice labs if you want to be in a position to pass. The third thing to consider is cost. Both official and unofficial Cisco training are expensive, and it is for this reason that many people opt to learn independently and train using free tools. This isn’t a bad idea if those tools are picked carefully, but there is a reason why Cisco charges for its materials: they are exhaustive. While you don’t need Cisco training in order to pass it can be very useful particularly in terms of practice exams. Formal study is the traditional route for preparing for the Cisco exam. By going this route you use Cisco’s training as your learning resources. You pick course curriculums like CCNA: Exploration and CCNA: Discovery to be your guide. The CCNA Exploration curriculum focuses on advanced problem solving and theory more akin to engineering than administration. Part of this is use labs to build up your real-world knowledge. CCNA Exploration is a great choice for those looking to enter entry-level positions. On the other hand, the CCNA Discovery curriculum is centered on the theory of networking and practical experience. This curriculum is designed for students with simple problem solving skills. It includes lots of interactive activities to make the material more digestible. Exploration proceeds at a quicker pace where as Discovery takes around two years to finish. Alternatively, you can opt to take a boot camp instead. A boot camp is essentially a three to six day course that provides you with everything you need to know for the CCNA. Many companies provide this free of charge but if not, you can also pay for this service online as well. However, we recommend you only proceed with a boot camp if you have a solid foundation of knowledge already, as the demands can be quite intensive. The biggest advantage gained by opting for formal study is the expert knowledge you receive. When studying on your own, you’re at the mercy of how well you understand the information you’re reading. Working with teachers can be beneficial as they will have a deep understanding of the course material and how to convey it to you. You will also get to enjoy the use of lab equipment and other tools to help build up your practical knowledge. The biggest drawback is that this takes more time than self study and costs more money as well. However, if you’re more of an independent worker then self study can be a natural choice. The speed with which you learn independently depends on your commitment to learning and your experience. Realistically this could take three to six months or longer before you’re competent enough to sit the exam. If you go this route then there are many community forums with tech savvy professionals who can help provide you with guidance on technical topics. 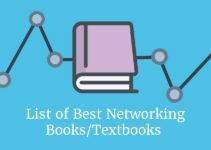 Cisco has some materials available on its site but there are a couple of main books that have become famous for helping people prepare for the CCNA1. The first is the CCNA Routing and Switching Study Guide by Todd Lammle and the second is CCNA Routing and Switching 200-125 Official Cert Library by Wendell Odom. Alternatively, you can opt to go the route with Cisco directly with its self-study materials and training courses. You’ll find that Cisco has tons of guides to help you through the content and exams to test your knowledge ahead of the exam. These resources can be invaluable because they are close to the exam material as you’re going to get (after all this is a Cisco exam!). In addition to your core study guides, you should also be incorporating materials from YouTube. With regards to practical knowledge, you need to become best friends with the command line. Free simulators offered by TechExams, NetSimK and Cisco Packet Tracer will allow you to “earn your chops”. If you’re prepared to pay then NetworkSims and Boson NetSim are also good choices. There are also a number of Windows terminal emulation programs in the form of PuTTY, Tera Term, mintty, Hyperterminal and Secure CRT that are worth checking out as well. The key is to diversify. Whether you decide to pay for training materials or not we advise you to have a look at every free resource you can get your hands on. However, we strongly urge you to consider purchasing a Cisco course to make sure that you build up your knowledge correctly. This will decrease the risk of your wasting your time and failing the exam. As mentioned earlier above, part of preparing for the CCNA1 is building up your practical knowledge as much as your theoretical knowledge. The test is designed to test your ability within an evolving network environment. Using practice labs will be one of the main ways that you translate your technical knowledge into real-world expertise. There are many different companies online that offer practice lab platforms where you can work with live equipment and practice your skills ahead of the exam. In most cases, you’ll need to purchase a practice lab account. Whatever you do, don’t neglect practice labs. Practicing your practical knowledge will be one of the biggest components of your success in the exam. After all, if you don’t have the requisite practical knowledge you’re going to be limited to a load of book learning which won’t save you in a live situation. The last part of the preparation process is making sure that you’re using practice exams. Even if you’re confident you know the material inside and out, you need to be sure you can apply it to a test environment and answer practice questions. This means you need to be practicing past papers regularly. Practice exam papers can be found in a number of locations online (like the Cisco website linked above). No two exam papers are the same, so we recommend doing as many as you can to build up your knowledge. To get the most out of using practice exams pick an up-to-date exam paper. This can give you an insight into the type of questions that Cisco likes to ask and areas where your knowledge may be insufficient. While you might have to settle for completing some old papers you want to make sure that you’re testing your knowledge against the most up-to-date materials available. Once you’ve found a past paper you think might be suitable set aside a time to do it and time yourself. This will give you some accurate feedback to work with to identify how well you know the exam and whether there are any gaps in your knowledge. As a general rule, you only want to book your test when your scoring above 90% consistently. If you’re falling short of that threshold then it is a good idea to give your training materials another look over. Practice exams will be instrumental in monitoring areas where you’re lacking and give you something to improve. Once you start to get high scores consistently you’ll have enough experience to be able to complete the exam under pressure and get the passing mark you’re looking for. It goes without saying that whenever you are completing a practice exam make sure you do it completely independently. You’re not going to have Google search in the exam so don’t be tempted to cheat at home! What is The Hardest Topic To Study? The hardest topic study depends on your knowledge and what type of technology you can understand the most. That being said, WAN protocols is perhaps the most tricky topic you’ll encounter and one that many have problems with on their CCNA1 journey. The WAN protocols are surrounded by tons of different abbreviations which make it difficult to keep track of what is happening. For example, there are lots of different encapsulation types, verification commands and dlci mapping that make this a nightmare to recall. There are so many things to memorize that if you don’t have the memory of an elephant, you’re going to struggle with it at first. This is nothing that substantial practice can’t address. The only way to come to grips with this area is to practice until it becomes second nature. Simple repetition will help you to memorize these protocols much more effectively. One tip is to write the protocols down on revision cards and flick through them regularly between watching TV or when you’re at home so that you can keep refreshing the content. How Will I Know When I’m Ready To Sit the Exam? After putting in weeks of preparation it can be difficult to tell if you have the knowledge to be able to sit the exam. Even if you’re scoring above 90% consistently you might not be prepared. On some level, you’ll have to accept that all the practice exams in the world don’t necessarily match up with the difficulty you’ll experience in the actual exam. For instance, its very difficult to recreate the pressure of an exam environment and to replicate the difficulty of the questions. However, this is true of all exams. If you complete practice papers regularly, watch out for when you start hitting 90% consistently. Throughout your practicing don’t get complacent and keep looking for areas where you can because you never know what topics might come up in the exam! Though the CCNA can seem like a large undertaking it is more than worth the sweat you put in. At the end of the day, a CCNA certification is a feather in the cap of any networking expert and it isn’t impossible to achieve. The CCNA1 is your first brick in the wall of Cisco certification. If you take the time to work through it and prepare, then you’ll be putting yourself in a good position to pass the first time. If you don’t pass the first time don’t get upset about it, everyone has an off day. Just go back to the drawing board and retarget your weaknesses. Generally, most people fail either because they don’t do enough practice papers or they don’t practice building up their practical knowledge so start using those practice labs and past papers! Most importantly of all, enjoy the process of learning the material. It sounds cheesy but this material is going to help make you an expert through CCNA practice. Rather than dragging your heels throughout studying and revision throw yourself head first into the material and practice questions. If you’re enthusiastic about investing 100 percent into actually learning the material rather than passing the exam, your knowledge will increase dramatically. If you’re serious about maintaining your Cisco certification over the long-term remember that you have three years before you have to resit. Therefore you want to make sure that you learn everything thoroughly the first time so you won’t have to do too much CCNA practice to refresh when you revisit the CCNA in the future.